People who inject drugs (PWID) are a critical population that are at a higher risk of being infected with HIV. According to the US Centers for Disease Control and Prevention (CDC), HIV can survive in a used needle for up to 42 days depending on temperatures and other factors. In a new study which focused on the PWID population in multiple study sites, investigators used intervention programs to advise PWID about HIV treatment in an effort to improve patient outcomes. The investigators found that the interventions actually increased use of antiretroviral (ART) medication use by 30%. The investigators set out to create a low-cost effective program that could ramp up efforts to improve the worldwide health of HIV-infected people who inject drugs, including those living in areas that lack resources. The study sites included Kyiv, Ukraine (1 community site), Thai Nguyen, Vietnam (2 district health center sites), and Jakarta, Indonesia (1 hospital site). These areas were selected on the basis of ongoing HIV epidemics among PWID in regions with high HIV prevalence and/or incidence. To determine the success of the interventions, the investigators screened volunteers at the various study sites who were between the ages of 18 and 60, injected drugs at least twice a week, and had been infected with HIV prior to the beginning of the study. From a pool of volunteers, 502 individuals were declared eligible as part of the index population. Index participants were asked to refer individuals who participated in injected drug use who were not infected with HIV. From the referrals, the investigators enrolled 806 participants into the injection partner group. As part of the study, (125) 25% of the index participants were placed in the intervention group and the remaining 376 (75%) were placed in a control group that only received the standard of care. Similarly, 187 participants in the partner group were enrolled in the intervention group and 619 participants were enrolled in the standard of care group. In the intervention group, participants received referrals for HIV management and medication along with harm-reduction packages, HIV testing and counseling, referrals for antiretroviral therapy, and basic care. After 1 year, 72% of individuals who had previously been confirmed to have HIV and received psychosocial counseling and help navigating resources in the intervention group reported that they were using ART to combat HIV infection. 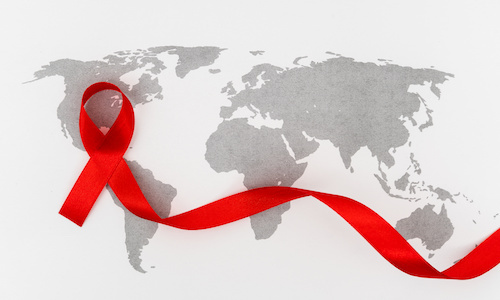 In the control group consisting of individuals who did not receive counseling or assistance, only 43% of participants reported that they were receiving antiretroviral therapy. The investigators also saw a significant improvement in the intervention group when it came to viral suppression, which is known to reduce the risk of transmission. In the intervention group, 41% of participants achieved viral suppression compared with only 24% of participants in the control group. Furthermore, the investigators reported that almost double, or 41%, of participants from the intervention group reported that they were on medications to help their drug use, compared with 24% of individuals from the control group. In the partner groups of individuals who did not have HIV, there were 7 infections reported in the control group, but 0 infections were reported in the intervention group. Investigators also observed a slight increase in use of medicine for drug use in the intervention group; however, the result was not found to be statistically significant.